​Burnley manager Sean Dyche has labelled Liverpool striker Daniel Sturridge a 'cheat' following his side's 1-3 defeat at home to Liverpool on Wednesday night. Dyche was responding to comments from Liverpool manager Jurgen Klopp regarding Burnley's tactics and the performance of referee Stuart Attwell. The ​Burnley manager has defended his side's physical approach, saying (as quoted by Liverpool Echo): "There were some excellent tackles. "Ben Mee's was a fantastic tackle and I think Gomez realised that. We send him our best if there is any injury but it wasn't from a bad tackle." In response to Klopp's comments about the Clarets' rough approach, Dyche said: "Of course football managers can question whatever they like but I don't think they can reinvent the rules. I don't think there's many fans in this country that want to see tackling go out of the game." 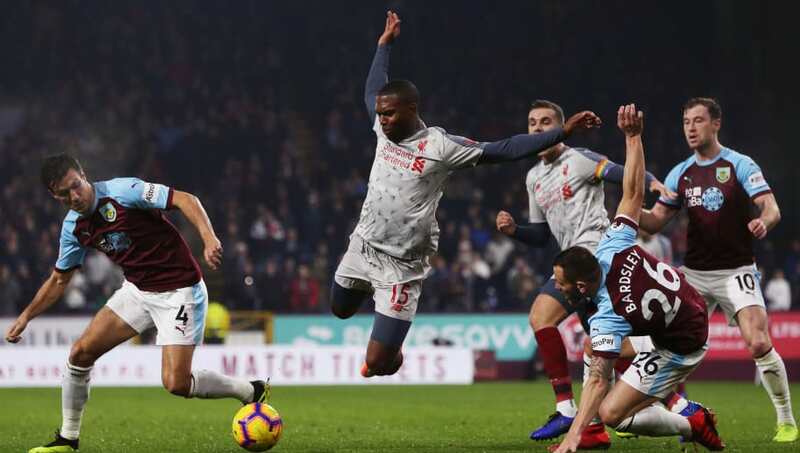 The Burnley boss then turned his focus onto Liverpool's game, insisting Daniel Sturridge had dived for a free-kick during the Reds' hard-fought win. Dyche added: "He [Sturridge] never even got touched, nothing near him and he went down and actually got a free-kick for it. "Now if that's gone or you're saying our lads are not allowed to make those tackles that they did last night and it's been replaced by cheating then I am absolutely happy to be old fashioned." ​Liverpool travel down to the south coast to take on Eddie Howe's Bournemouth side, as they seek to keep in touch with league leaders Manchester City.